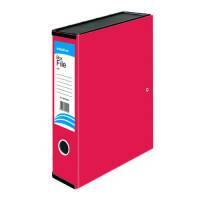 Secure and speedy storage for unpunched papers. Makes storage of purchase orders and receipts easy and accessible. Internal sprung paper clamp to keep contents firmly in place.